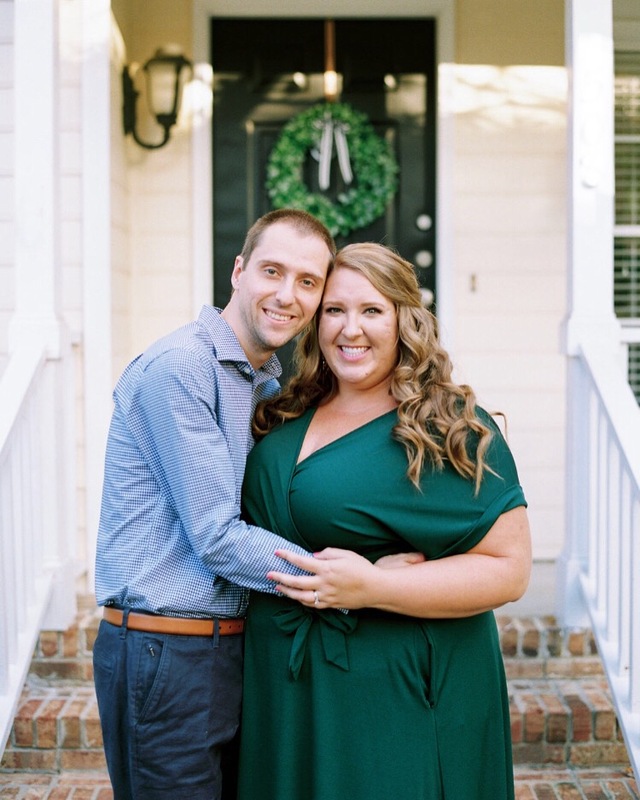 Shelby and TJ’s Charleston wedding at the Legare Waring House was nothing short of every Southern girl’s dream, and it was truly amazing and touching from start to finish. The Spanish Moss, feminine details, cool blue-gray tones, and the most flawless weather paired together to create the perfect day. Shelby and TJ tied the knot Charleston, South Carolina in June, and I am thrilled to finally be able to share their stunning photos with y’all! Jake + Heather captured their day with exquisite detail and with impeccable images, and the wedding feature film from Heart Stone Films definitely made me cry watching it! Their special day has been featured on Style Me Pretty, where their wedding journey has also been chronicled by Shelby, who is a local fahsion and lifestyle blogger herself. I am absolutely honored and ecstatic to see this stunning wedding featured on such a prestigious website, and be sure to hop on over to Style Me Pretty today to uncover all the details, see even more ethereal and joyful images, and read all about Shelby and TJ’s Charleston wedding. You don’t want to miss this beauty! Shelby and TJ’s wedding unfolded on a warm, sunny summer day amidst the Spanish moss, ancient oak trees, and lush setting at the Legare Waring House in Charleston. The Avenue of Oaks was the picture-perfect setting for the ceremony, and watching Shelby walk down the aisle on the arms of both of her parents was exquisite. There wasn’t a dry eye in the house, undoubtedly, as Shelby and TJ said their vows under the Avenue of Oaks. This is far and away one of the most picturesque and quintesstinally “Charleston” landscapes I could have imagined, and it sure made my job easy! The cocktail hour, outfitted with a grey-washed wooden bar, lots of bistro umbrellas and cocktail tables, a delicious spread, and was tucked underneath the Spanish moss nestled against the glistening lake. Swoon-worthy, indeed! Their signature cocktail kept guests cool, and the Instax camera as a guestbook provided plenty of entertainment. There were gorgeous acrylic and mirror details throughout, inclulding a huge mirrored seating chart that was simultaneously elegant and glam. The reception was nestled on the stone patio of the Legare Waring House, under a gorgeous white tent with sheer white lining. And don’t forget those fabulous chandeliers above! It was romanitc, soft, and picture-perfect in every way. We used soft grey wood farm tables, clean yet detailed white circle-backed wooden chairs, gauzy and organic white runners, acrylic table numbers, hand-torn menus, grey tapered candles, and gorgeous bud vases and compote centerpieces with florals and greenery. I’m still obsessed with the design; it’s one of my favorites ever! The band was rocking, the dance floor was packed, and all of the wedding guests were full of smiles all night long. The whole reception was gorgeous and just plain fun, from the beautifully choreographed first dance, the toasts that made me cry, the amaretto wedding cake, and the delicious dinner spread. Market lights were strung around the outside of the tent, candles burned low into the night, and there was a definite magic to the entire wedding day. Shelby and TJ, thank you for allowing me to be a part of your wedding day and wedding planning! It was truly a joy to get to know you two over the last 1.5 years and to bring your dream wedding day to life. It was the most beautiful, sweet, joyous day, and I’ll always remember how much happiness you two exuded! Their family and friends were deeply kind, oh so excited, and there were loads of happy years as the beautiful, special day unfolded. Working with Shelby and TJ throughout their engagement was a dream come true for me, and having the opportunity to make their dream wedding become a reality has been such a deep pleasure. Planning a long-distance wedding can be challenging, but these two made it so easy and beyond worth it! And these two are the best!! I am so thankful for our amazing vendors and these sweet newlyweds for making this wedding such a success. Here’s to the Roebocks!! Wishing you two a lifetime of love and joy – I love you two!! A major shout-out to each and every vendor who pulled off this stunning wedding so effortlessly! I say it every time, but it takes a village — and this was one excpetional team for Shelby and TJ’s wedding day!! all stunning photos by Jake + Heather, and another huge thanks to Style Me Pretty for featuring us – such an honor!